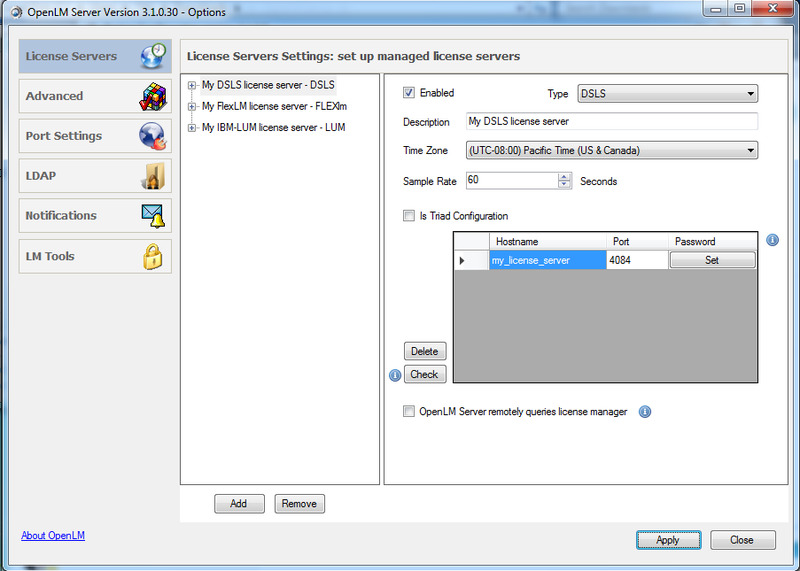 OpenLM monitors and optimizes the usage of various license managers such as FlexLM, DSLS, IBM LUM and Reprise RLM. 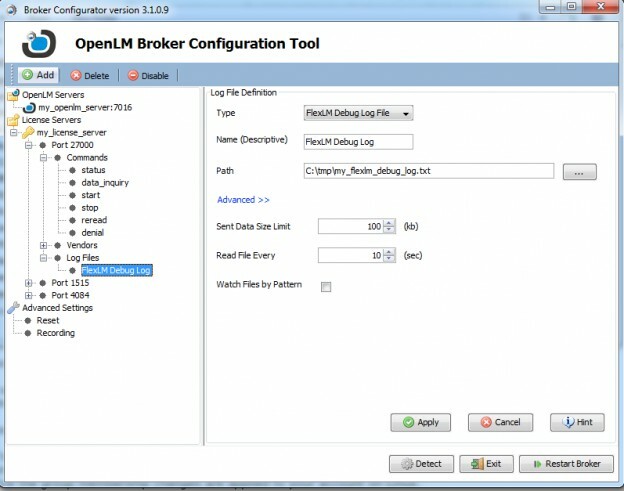 As part of this activity, OpenLM also produces license denial reports, i.e. : an account of instances in which the vendor daemon has declined an application’s license request. The quantity of license denials is a key parameter in license maintenance and in planning of additional license procurement.The current version of the OpenLM Server (3.3. 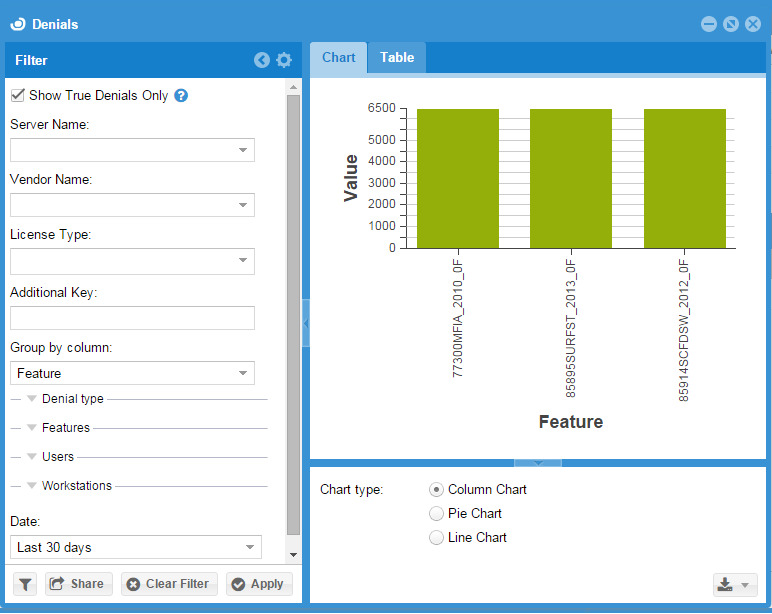 *) supports license denial reports for FlexLM, DSLS IBM LUM and Reprise RLM. This document addresses the required configurations for obtaining these reports. Group-by selection menu, for displaying denials according to categories such as Features, Vendors, Users, Time period, Servers etc. “True” denials – After being denied a software license, a user may request it again repeatedly, or perhaps be granted a license from another license server. OpenLM is capable of filtering out such license requests to show only cases in which the user was ultimately denied a license. These are referred to as “True” denials. 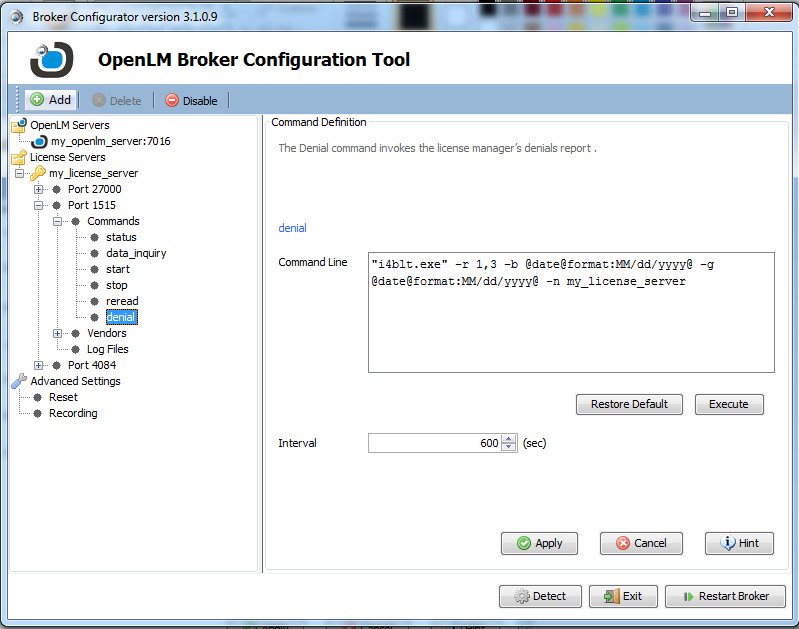 Make sure that the License server name is exactly the same as configured in the OpenLM server configuration tool (e.g. : my_license_server). 3. 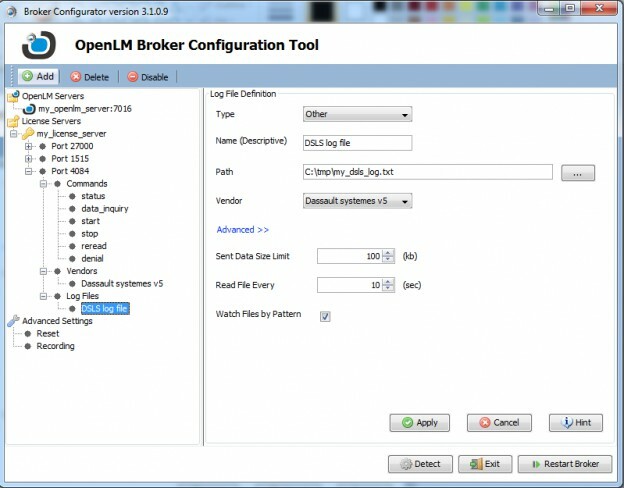 Configure the OpenLM Broker to extract license denial information. Click the ‘Log files’ node on the left configuration pane. In the “log file definition” – Type dropdown menu, select “FlexLM Debug log file”. In the ‘Path’ textbox, set the debug log file’s full path. 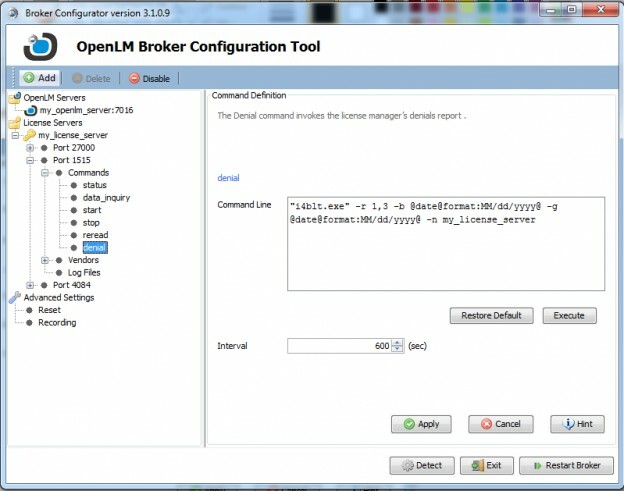 Click ‘Apply’ and “Restart Broker” to finalize the configuration. In the “log file definition” – Type dropdown menu, select “Other”. Check the “Watch file by pattern” box. Make sure the ‘Vendors’ drop down menu shows the correct vendor name (e.g. : dassault systemes v5). In the ‘Path’ textbox, set the log file’s full path. 4. Make sure the Broker indication in the EasyAdmin ‘Start’ → ‘Widgets’ → “License Servers” window is green. Note the green Broker uptime indication. If it isn’t so – wait a while and refresh the “License servers” window. If it is still red – recheck your configuration, and check for alerts in the EasyAdmin → Start → Widgets → Alerts window. In case the number of licenses has been surpassed – the vendor daemon would deny the license request, and a license denial notification will be produced. 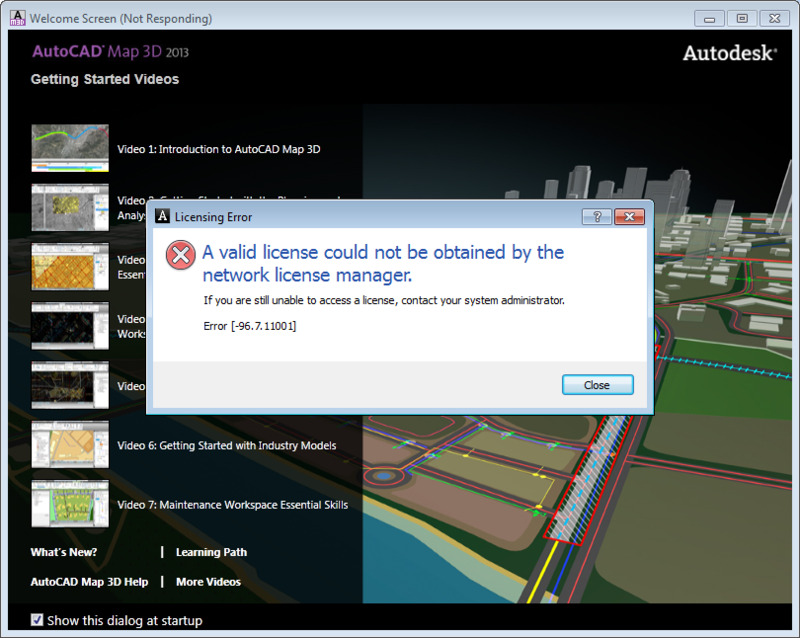 In the case of FlexLM AutoCad: this is Network license error -96. It will be apparent on the EasyAdmin Denial reports window at 2:12:22, according to the difference in time zones between the location of the OpenLM Server (Pacific time) and the AutoCad License server (Central time, US). Denial reports may not appear in the FlexLM debug log if the application’s option file contains a NOLOG line, with a DENIED flag. If this is the case, edit the options file to exclude this flag, and restart the license server.